The implementation of sustainability reporting entails contradictory elements that can involve greenwashing or corporate governance procedures modifications, as well as the mission and accounting system of a company. Based on the premise in this paper, the authors show the end of a first step of research process and answer the question: How does the introduction of a Sustainability Report (SR) transform mission, governance and accountability of enterprises? Attention is focused on the implications of the process of social and sustainable accountability with respect to the values order, structure and tools of governance, and those used to account for and hold the stakeholders accountable for the results, modality, and objectives which characterize the accountability of corporate activity. The deductive research approach is based on an analysis of the literature regarding sustainability development and sustainability reporting. The inductive method is based on the analysis of a research case related to an Italian multi-utility company: SGR Group. The analysis carried out focused on features of the sustainability process started by the company and interpreted it as the challenge launched by the Group to contribute to create, through its own activities, a civil economy which is typical of the corporate culture of responsibility and sustainable market economy built on the civil corporation. The process of transition from accounting to accountability, which has the almost exclusive objective of improving the corporate image, has an extremely and limited effect over time in relation to the stakeholders, as had been demonstrated in the vast literature on the matter (Adams, 2004; Adams & McNicholas, 2006; Gray et al., 1987; Gray, 1994; Gray et al., 1995; Gray & Bebbington, 2000). The extent, to which organizations shape managerial decision-making to initiate the sustainability reporting process, depends on a number of organizational dynamics and on a variety of regulative, normative and cognitive drivers (DiMaggio & Powell, 1983; Scott, 1995). A variety of corporate characteristics (size, industry, profit or financial performance) and contextual factors (country of origin various social, political and legal factors, social and political change, economic cycles, cultural and specific events, media pressure, stakeholders power) influence - at one time or another, or in various national contexts - managers’ decisions to report (Adams, 2002). Therefore the real challenge is to develop accountability in the long term and the consequently repercussions on internal and external corporate relations and what contribution to their improvement it brings. This implies that accountability must also become a tool of governance for the company if indeed virtuous circuits are to be triggered, these being necessary to reach a level of strong sustainability (Gray, Owen, & Adams, 1996; Gray et al., 1997; Gray, 2000; Larrinaga-Gonzàlez et al., 2001; Parker, 2005). This is the objective that the Italian SGR Group – which forms the case-study here presented - has been seeking to fulfil. On the basis of these aspects, we wish to address the following research question in this paper: “How does the introduction of a Sustainability Report (SR) transform mission, governance and accountability of enterprises? The research design develops through a deductive and inductive approach. The deductive approach is based on an analysis of the literature regarding sustainability reporting and the repercussions on the aspects of the company which involve the mission, the governance and accountability. The inductive method is based on the analysis of one research case (Naumes & Naumes, 2006; Spence & Gray, 2008; Bebbington et al., 2009). Empirical analysis makes use of diverse tools, including an analysis of documents compiled from board meetings that pertained to the company´s sustainability efforts. Furthermore we took part in the meetings of the work group, which made the sustainability report-2011 for the first time in more than 50 years of enterprise activity. The methodology also makes use of direct and semi-structured interviews with directors and the president of the company. 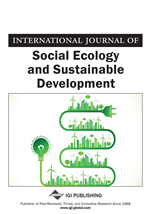 The paper is organized into two main parts, of which the first develops a brief analysis of the theories on sustainability and sustainable reporting, providing the theoretical background in which both the process and the effect of sustainability reporting (SR) can be placed. The second part will analyze the case. The scope is to succeed in identifying the dynamics which link the report to the three aspects (mission, governance and accountability) of the company and to demonstrate how this process which apparently concludes with the report, becomes instead a launching pad for a “radical” modification of all the aspects of the company.